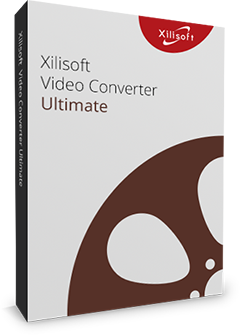 Now you can transform video files to Home DVD with Xilisoft DVD Creator for Mac! It can burn all popular videos like AVI, MPEG, WMV, DivX, 3GP, MP4, M2TS, MOV, etc to DVD, ISO image or Home DVD folder. In addition, this Mac Home DVD Creator allows you to personalize Home DVD movie with Home DVD menu and menu-editing options, clip video, adjust image effects, add soundtrack/subtitle. 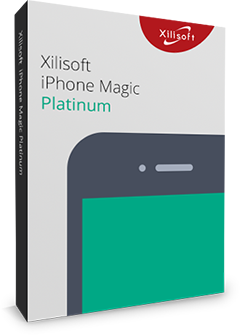 Download Xilisoft DVD Creator for Mac now so you can start burning DVDs and sharing your favorite movies with friends and family! Make Home DVD movies from videos shot by iPhone, other smartphones and DVs. Create DVD from video files including 3GP, 3G2, ASF, AVI, DAT, DV, VOB, FLV, MP4, MKV, DVS(R)-MS, MPG, MPEG, TS, MOV, RM, RMVB, WMV, NSV, M2TS, MTS and even iPhone 4 videos (MOV). DVD Creator SoftwareConvert videos in different file formats to DVD-Video, ISO file or DVD folder. Freely convert almost all popular video format files and burn them to DVD-R, DVD+R, DVD-RW, DVD+RW, DVD+R DL, DVD-R DL, DVD-5 and DVD-9. With multithreading, multi-core processing and multitasking supported, this Mac DVD creator offers the highest speed possible to burn video files to DVD. Choose from a selection of menu templates to create a customized DVD menu. Add your own background music/picture, menu topic and opening film clip to DVD menu. Set any segment or frame in a video as the title thumbnail in DVD menu. Enables "skip menu" to let the created DVD movie play directly, skipping the DVD menu. Clip VideoPick out selected video clips and merge them into one to burn on DVD disc. Edit Video Effect Cut out unwanted borders from a video file; adjust video image effect and add special effects; attach picture or text watermark to personalize your DVD video. Add SoundtracksAdd audio tracks to burn; set the audio delay time and loop option to burn a DVD disc with multiple soundtracks. Add SubtitlesAdd subtitles of different languages to the DVD movie; set subtitle style, position and delay time to fit the video as it plays. 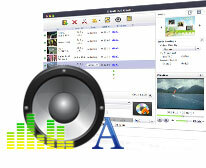 Adjust Video/Audio Output ParametersVarious video/audio settings are adjustable: video/audio quality, bit rate, television standard, aspect ratio, resize mode, channel, sample rate, and others. Play Video in the Built-In PlayerThere's a built-in player to preview the original and output videos before you create DVD; take snapshots of scenes and save as picture file. Burn Rewritable DVDErase DVD disc contents and rewrite as a fresh new copy with Xilisoft DVD Creator for Mac. Add chapters automatically by setting interval under each title. Choose burn target, write speed and burn copies; choose from English, French, German, Japanese and Chinese interfaces; and many others.